My grandfather was a volunteer in the First World War. He joined the Northumberland Fusiliers and operated as a Lewis gunner in all the major battles of the First World War being promoted to corporal. I often talked with him about his experiences but he seldom talked about the horrific things he witnessed while in France. 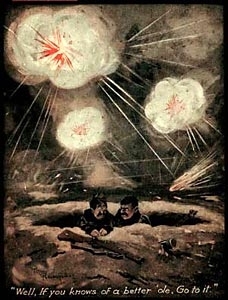 He preferred to show me his collection of Bairnsfather cartoons or tell his favourite joke about the woman coming up to British soldiers shouting "Merci Merci". 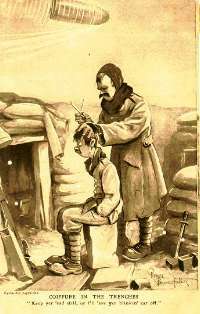 "There's no mercy in the British Army growled the sargeant." "Keep yer 'ead still, or I'll 'ave yer blinkin' ear off." My grandfather was a localist. He was from the north east, worked for the London and North Eastern Railway company and joined his local regiment. He went to war with local people he would know who shared a common local bond. There was a sense amongst my grandfather and his fellow soldiers that they were not only defending Britain's interests but were committed to Northumberland's interests within that wider context. What would have been entirely "foreign" to my grandfather is the idea that Northumberland Fusiliers could go to war while the rest of the British Army stayed at home. Their localism was grounded in the knowledge that they were also part of a bigger picture. Well, if you know of a better 'ole, Go to it! This is probably the nub of the localism question. Where do our real interests lie? With our neighbourhood? with our City? With our Region? With our country? Which is the appropriate level for decisions on regeneration to be made? Liverpool benefitted greatly from The European Union determining that it should be included in the Objective One programme which brought a lot of resources to the city. It has also benefitted from national UK decisions to fund programmes such as the Single Regeneration Budget. When the UK government decided that the appropriate level for economic development strategy was regional then Liverpool similarly benefitted from North West Development Agency allocation of resources. What we think of as local is not easily defined. The Government's Localism bill is contentious because of this quandry. While no one would dispute that decisions should be influenced by and take account of the neighbourhood dimension, the question is whether the best interests of a city are simply the sum total of what is best for its individual neighbourhoods. A practical example of this might be decisions on which roads should be repaired. If decisions were to be made entirely at a localised neighbourhood level what impact would this have on the strategic road network in the city? Would these neighbourhood level decisions take account of the economic interests of the city? Would investment take place in a road to the docks to assist the businesses of the city or be invested in a neighbourhood's residential streets. Or, for example, if a decision were to be made on waste management would individual neighbourhoods' interests make it impossible to establish a rational city wide system of waste disposal in a time when simply digging a hole somewhere in the countryside and filling it up, or tipping it all into the river, is just not acceptable. We have to recognise that each neighbourhood is not just another Bairnsfather hole. My grandfather recognised that Northumberland, Durham, Surrey and Essex's interests were bound up in Britain's interests as they headed off for France. Our neighbourhoods' interests are ultimately bound up with Liverpool's economic interests, as Liverpool's are bound up with regional and national interests. Getting the balance right and decision making focus correct will be crucial as we work out in practice how the localism bill will operate. In 2003 The Guardian reported that an elderly lady in Sunderland who had recently died had not been able to use her own street for 20 years. Her street was a dirt track with no street lighting, no drainage and no road surfacing. As her eyesight deteriorated with age her street became a no go area. She lived on an unadopted road. 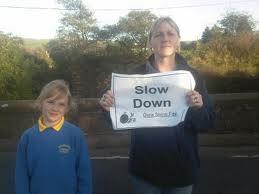 The article went on to highlight the problem of unadopted roads and streets in Sunderland. These are roads for which local councils have no legal duty to maintain and, having limited resources, generally refuse to do so. If local residents want these roads adopted and maintained by their council, local authorities have usually required residents to pay for the necessary improvements before they will take responsibility for their maintenance.This is underlined by the 1980 Highways Act which makes local residents the "street managers" of their orphan highways. The cost of doing this is prohibitive for local residents and therefore it simply does not happen. Nationally the Government has estimated that the cost of bringing all unadopted roads to the required standard would be £3 billion. In Liverpool in 2005 the then Liberal Democrat Cabinet Member brought a report to the Regeneration Select Committee which, the Liverpool Echo reported, revealed that, because of the costs involved, " hundreds of miles of streets and roadways in Liverpool may never be repaired" and that 120 streets legally designated as unadopted "could never be free of potholes and cracks." 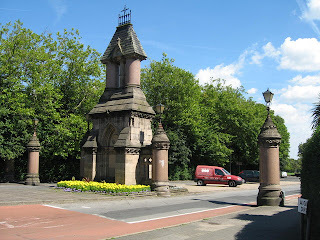 In Liverpool the most famous of these unadopted roads are the roads round Sefton Park. Aigburth Drive, Croxteth Drive, Greenbank Drive and others have had cosmetic work done on them in the past but are crumbling so fast that they are rapidly becoming unusable. It has been estimated the cost of bringing the roads around the park up to adoptable standards would be £7 million pounds. When one considers that the local authority has £3 million in total to spend on all currently adopted roads in the whole of the city one seems to be looking at an insoluble problem. The problem is exacerbated by some of the roads around the park having become being an integral part of the road network. Aigburth Drive in particular carries thousands of cars per day taking traffic to the city centre eventually via Princes Road. In more gentle times the gentry would have accessed the park in their carriages via the gates to the park and slowly perambulated round the beautiful countryside in the heart of the city. Nowadays heavy traffic and ruinous winters combine to destroy the road surface and together with their unadopted status leave the local authority with an immense headache. But was the cabinet member in 2005 correct? Were officers who said nothing could be done being realistic or were both lacking in imagination. I believe every problem has a solution- the difficulty is often having the imagination to work out the solution, the ability to "sell" the solution and the determination to see it through. I believe we now have an opportunity to deliver a solution to the conundrum. It will require politicians, officers and , indeed, the citizens of Liverpool to think in a different way and consider the alternatives of both doing something and, even more, failing to act. 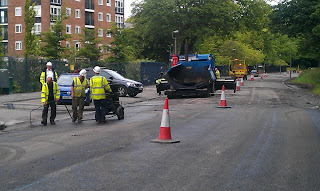 In recent weeks a number of actions have been taken to start bringing the roads up to standard. 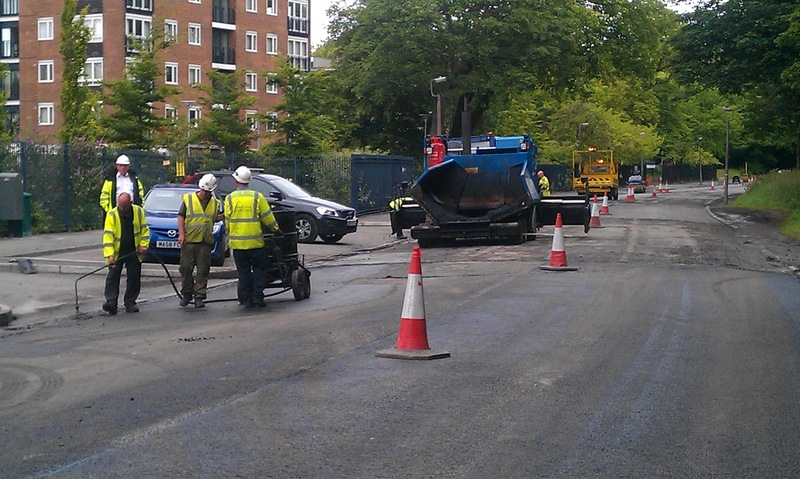 The City Council has filled in the major deep pot holes caused by the recent bad winters and last week, using a combination of resources from local businesses and housing assocations matched by city council resources, the Beirut-like surface of Croxteth Drive was repaired. The number of complaints about the roads around the park has reduced markedly as a result. This is not the full or final solution to the problem of unadopted roads around Sefton Park. The pot holes will reappear as the level of traffic and further ravages of subsequent winters take effect. A more complete solution is called for. It is that solution that the council will consider over the coming month and which will be further reported on in Regeneration Matters. Somehow we have to get round the limitations of the Highways Act 1980, the lack of resources available to deal with the problem and the historic lack of imagination displayed by politicians and officers alike. I believe a solution is within reach. Will we be able to grasp it? My grandfather Walter Kennedy was a signal man and his brother in law, Jack Robinson was an engine driver. Jack was considered very sophisticated by me. It was not that my father called him a communist because he bought the Morning Star every day but that Jack and his wife, my Aunty Joan, were the only people in my family who had ever been abroad apart from in the company of the British Army. Jack got cheap travel concessions in Europe and he and Aunty Joan took holidays in Italy when a trip to Scarborough was the greatest trip my family could aspire to. 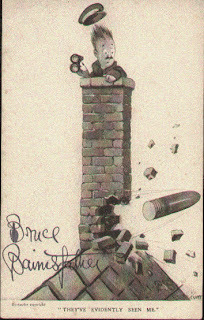 However the railway connections in the family, including my father being born in Station Cottages in Acklington Northumberland, or my cousins Graham and Stephen's love of the pastime could get this football mad youngster interested in trainspotting. However Cllr. 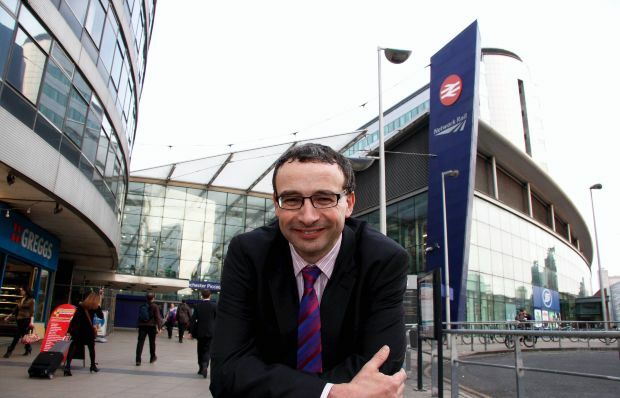 Anderson, Leader of Liverpool City Council is an avid train spotter. His conclusion is that we simply don't get enough of them coming to Liverpool. Recently he correctly berated Virgin for its poor service to and from Liverpool to London. The price, the crowded trains and the time taken on the journey all have an effect on the perception of the distance from Liverpool to London. It is highly appropriate for Liverpool to have an Embassy in London. To many Londoners and, in particular, business and political decision makers, Liverpool may as well be a foreign country. So this week the Chamber of Commerce in Liverpool hosted an event in the Embassy to push the case for major transport projects that will greatly assist Liverpool's economic development. 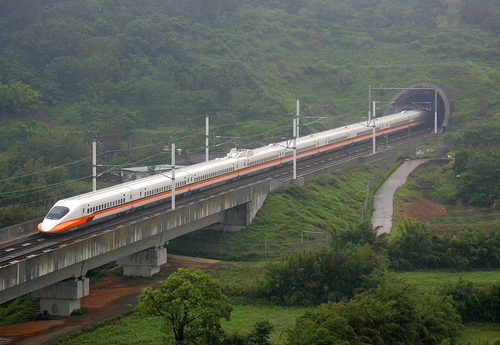 The Government is still consulting on a High Speed rail link from London to the north of England , a 'Y-shaped' high speed rail network that will reduce journey times from London to Birmingham to 49 minutes; and from London to Manchester and Leeds to around 80 minutes. The connections onto existing rail lines would have the effect of reducing journey times to other major cities in the north including Liverpool. Joe Anderson has rightly identified this as of major importance. He has stated, "It is crucially important that Liverpool is better connected to the rest of the country, especially London." 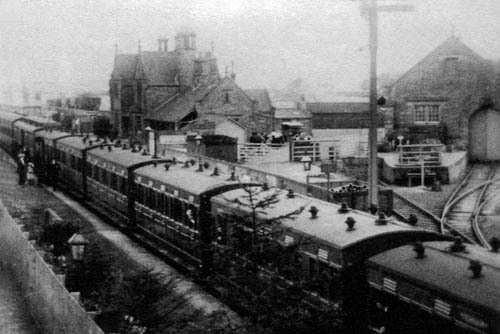 But Joe has also linked this to other projects that are necessary to maintain Liverpool's economic renaissance pointing out that, "it is vital that this proposed network is coupled with investment to electrify the line from Liverpool to Manchester, to speed up journey times in the north west." The Chamber event also highlighted another project that is of fundamental importance to Liverpool's connectivity and, in its simplicity and value for money, is possibly the most important of all. Compared to the £30 billion plus investment required, the Northern Hub proposed by Network Rail requires a much smaller, yet still substantial, investment of £530 million. The development of the Northern Hub would increase the number of trains across the region by 40% and carry another 3.5 million passengers. Apart from investment proposed in new track, improved stations and electrification, at the heart of the proposal is removing historical blockages (connecting Piccadilly and Victoria is a good start!) to speed up journeys from and to areas west and east of Manchester. As I pointed out to delegates at the event, the completion of the Northern Hub might for the first time in a lifetime make getting the train home to see my mother in Newcastle a sensible option. When one thinks of the amount of investment in the road system from north west to north east, then compares it with the lack of investment in the rail system between those two regions it is a scandal. High Speed Rail is very important and is about linking the north west to London whilst the Northern Hub is about increasing connectivity within the region and across the country. Both are vital and the Chamber event made a point of saying that the investment is not an either/ or matter but that we need both to truly connect Liverpool up with the rest of the country. One person in the country will express a preference on this if one had to be made. My mother does not see me often enough and it is a fairly gruelling drive up to the north east despite the motorway network that now exists. So I am a passionate supporter of the Northern Hub. I am relying on people like Graham Botham of Network Rail to put a smile on my mother's face by making it easier to get to Newcastle by train. Viva the Northern Hub! Chicago- our kind of town? 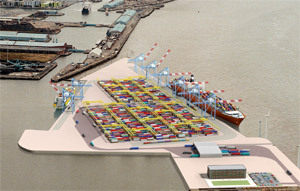 On Thursday I helped open the Liverpool Waterfront Architecture Festival http://www.liverpoolarchitecture.com/walk_the_front.php. The festival runs until the 26th June and I am both delighted and sorry to tell you that most of the events have already been sold out. The opening of the Festival took place on Mann Island in what is a quite marvellous space between the two controversial black granite facia-ed ( yes granite!) buildings developed by Neptune. Everybody will have their own opinion on the buildings and the impact they have on the views of the Three Graces but one body has already made their view plain by taking space in one of the buildings. The Royal Institute of British Architects will be taking office space in The Equator and have exciting plans to develop a Liverpool Architecture Foundation which will be a valuable addition to Liveprool's cultural offering. The opening was a great opportunity for me to meet up again with my good friend Belinda Irlam-Mowbray, RIBA's Regional Director. Belinda has been a fearsome advocate of the architecture profession in the North West for a number of years and is hoping to base the profession's centre of excellence in Liverpool. 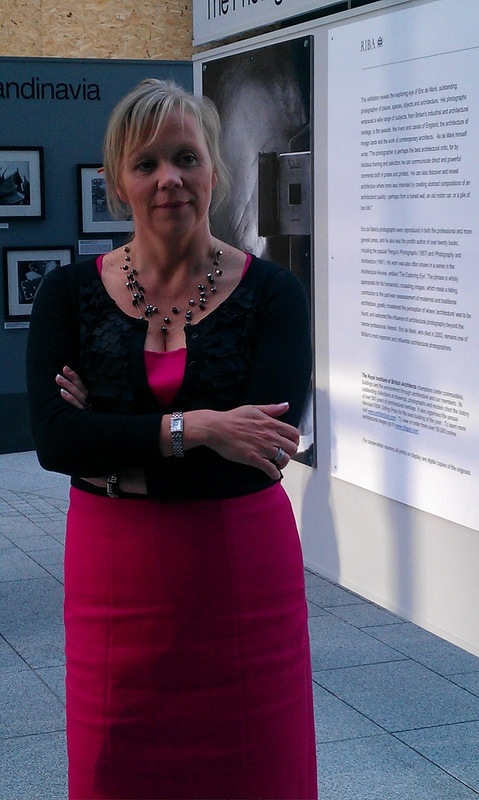 She wants to see architects and architectural enthusiasts engaging more with the public. Last November Belinda and her colleagues invited me to join them in a visit to Chicago to see how the Chicago Architecture Foundation operates in that city. As their website explains,The Chicago Architecture Foundation (CAF) "is a nonprofit organization dedicated to advancing public interest and education in architecture and design." (http://caf.architecture.org/) CAF organises tours, exhibitions, debates, lectures, educational programmes and other activites as it seeks to advance public awareness of Architecture and Design. 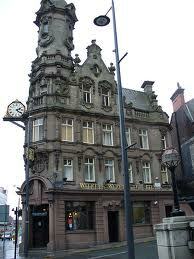 It provides a good model on which to build a Liverpool Architecture Foundation. The debates in Liverpool at the moment, such as the merits of the new Neptune buildings, the impact on the Heritage of the City of new developments and whether Peel's proposals for Liverpool Waters should be given planning permission or not, would I am sure be enhanced by a more interactive process between the architecture profession and the public. While the major debates in Liverpool at the moment are about the loss of heritage which is generally synonomous with "old" in England, the current debate in Chicago is about the potential loss of a building which was only opened in 1975. As the Chicago Sun-Times reports, "The fate of the former Prentice Women’s Hospital in Streeterville has become the first significant land use controversy of Mayor Rahm Emanuel’s administration, and activists hope they can pressure him to save a building they regard as an architectural gem." Preservation Chicago's website calls the building an "architectural icon" and the building has been named as one of the "National Trust for Historic Preservation's 11 Most Endangered buildings." One , understandably, has not heard this kind of argument advanced in defence of the Liverpool Royal concrete monstrosity. 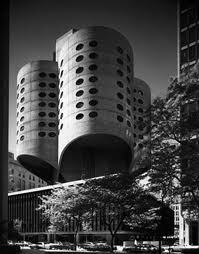 • Are modernist structures significant enough to save? • Why is there a lack of aesthetic appreciation concerning modernist architecture? • When do you keep a building? When do tear it down? When do you compromise? • Is landmarking a legal thing? • When does the value to the property owner outweigh the value to society’s cultural heritage? " I look forward, hopefully, to a Liverpool Architecture Foundation becoming a catalyst for debate on these issues as it develops in Liverpool. This could only enhance the current debate and perhaps lead to more clarity and understanding as Liverpool seeks to forge its own architectural future. 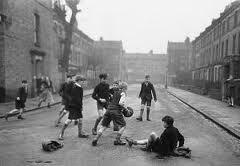 I remember, living in Gateshead as a boy, playing football and other games in the street with my friends. Every half an hour my mother would pop out of the house and tell us to be careful as the bus was due to arrive any minute. We didn't have to worry about cars though and one of our favourite activities was to get on our bikes and race round the block. I used to lend my little 16" framed bike to one of the boys or girls and I used my mother's huge machine to hurtle round the streets in a race to get round first. We didn't need to worry because, until my mother became a district nurse and needed a car to drive round to expectant mothers, no one in our street had a car. Things are a lot different now and owning one or even two cars is not uncommon. Cars themselves are faster, accelerate more quickly and drivers in their protective enclosure, with air bags and other kinds of safety features, have a lower sense of risk. Driving habits have probably also changed in that cars will hurtle round residential areas to beat traffic lights on main roads and place more emphasis on knocking 30 seconds off their journey times than the risk they pose to those generations of children that have followed my more carefree playmates. One of the results of this has been an insatiable demand for traffic calming measures which usually boils down to a demand for speed bumps in the road. I could wax lyrical on my views of speed bumps as an addition to street furniture but a major problem is that as the sole method of reducing speed in our residential areas they will never satisfy the need or the demand. The resources available are finite while the demand for safety in our neighbourhoods is rightly infinite. The policy response in the local transport plan, published by the Integrated Transport Authority, has been to advocate "the introduction of an extensive network of low speed zones, create safer roads,encourage more cycling and walking and therefore improve health." The printed copy of this major strategy affecting people throughout Merseyside landed on my doormat yesterday. How appropriate that as the Cabinet Member for Transport I was able to announce in advance at the Regeneration Select Committee on Thursday that Liverpool City Council intended to move towards 70% of their road network being covered by 20mph limits potentially impacting on all our residential areas. A recent report by the North West Public Health Observatory concluded that 140 killed or seriously injured child casualties could have been prevented each year between 2004-8 if 20mph traffic speed zones had been introduced in residential areas (other than main roads) across the North West. Additional evidence from towns such as Portsmouth and Warrington which have extended 20mph limits have convinced me that this is a step worth taking and indeed a step we must take. Perhaps my playmates of nearly 50 years ago will cheer that decision and their grandchilden and great-grandchildren will benefit as councils throughout the country follow suit. And we never walk down Lime Street anymore? The first I ever heard of Lime Street was on The Beatles "Let it Be" album where the greatest rock and roll band the world has ever known gave their angle on the classic Liverpool song, Maggie Mae. I learned that Maggie used to walk along Lime Street and had been arrested for robbing a sailor but I had no idea at that time that Lime Street was the gateway to the city for anyone arriving by train. It was when I first visited Liverpool in the early 1970's to attend an interview for a place at teacher training college that I discovered its importance.Whether for people from outside of Liverpool it was the railway station or The Beatles that made this one of the most famous streets in the city could make a good pub discussion, possibly at the magnificent structure of The Vines further along this famous Liverpool thoroughfare. When one arrives in Liverpool and leaves the station concourse one discovers that the station is quite different from most main city railway stations. You glance to your right along Lime Street and see the magnificent St George's Hall and directly facing you is the entrance to the main retail area bounded by St John's shopping centre on the right and the beginning of Clayton Square on the left. You have been brought right into the heart of the city. However if you look further along Lime Street to the left it all becomes a lot less impressive. 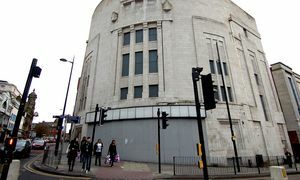 The first thing you see is the Grade 2 listed art deco former ABC Cinema which has been empty for a number of years. Four years ago Urban Splash were appointed as preferred developers by English Partnerships. The plan was to turn the the building into a Boutique Hotel. Four years later, despite their stated continued commitment to the project, the developers have been unable to progress the scheme to transform this fantastic structure. Between this building and The Vines there is little to convince the new visitor, without further evidence, that Liverpool has undergone a transformation over its recent history. If the visitor continued further along the road into Renshaw Street they would notice another fabulous building, the famous Lewis's Department Store with the " statue exceeedingly bare" still in place. 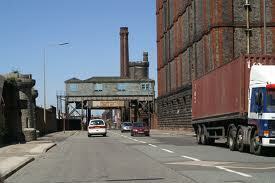 One of Liverpool's most famous landmarks it now lies empty. In addition, the premises 200 yards further up Renshaw Street, formerly the home of one of Liverpool's most famous retailers, Rapid Hardware, have been left vacant by their move into the heart of Liverpool's main retail area. It is problems like this that the City Centre Retail Strategy has been drawn up to address. There will not be the scale of development in the retail area as we have experienced in the city centre in the last decade, not only because there is less finance available but also because there simply is not the need for that scale of development anymore. 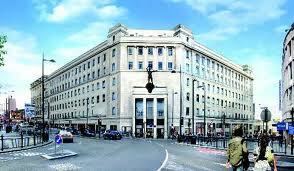 However the Lime Street Gateway remains a prime development opportunity and in serious need of transformation. The Retail Strategy therefore makes this a high priority and I have made it clear that I want to see early action to address an area that should enhance and not subtract from the impression given to visitors arriving at Lime Street. 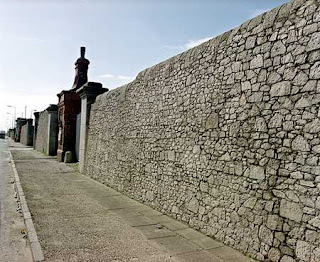 Maggie Mae might not walk down there anymore but we want many visitors and Liverpool residents to be tempted by other and better attractions to take a walk down one of Liverpool's most famous streets.